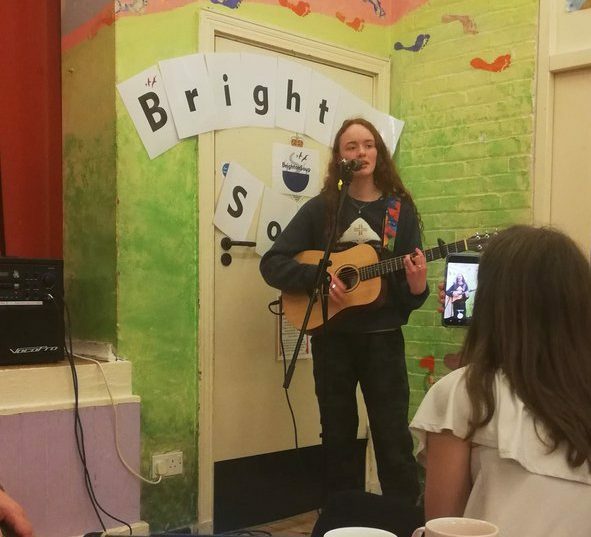 For our 17th BrightonSoup event, we returned to St Richard’s Community Centre, where we held our second soup, back in September 2015. A huge thanks to all the pitchers taking part on the night, we couldn’t do it without you! Matthew Moors and Jo pitched and won £446 in donations for thei their D-Mob – Dementia Peer Support Group, helping those living with dementia to be heard, remain active and feel mutually supported. Previoius winner Boudicca Pepper came back to give an update on the AudioActive project. Back in July 2018 she – along with Isha and Tom from Audio Active – won £448.00 for their Young Women Tech Group Project. Boudicca told us about how the projects has grown since then. As always, the other projects are still looking for help and support. If you can help, then please get in touch with them directly (details below) or use our contact form. Vertigirls is a non profit community group run by volunteers, established in 2008 to help empower women with additional needs through the sport of rock climbing. We run low cost indoor climbing courses. For progression we have weekly sessions at local indoor walls. We have 4-6 subsidised outdoor climbing trips throughout the summer. Ropes are generally £40-60 We need 2 so max £120. The technical equipment we need for set up will be about £200. For those that understand climbing jargon we need a full rack, carabiners, slings, belay devices and rope protectors We are working on a deal with DMM to get these things at cost price. D-Mob is a local dementia peer support group formed in early 2018. Members come from all walks of life, some living with dementia others supporting people living with dementia. It is estimated there are approximately 3000 people living with dementia in the city – projected to be 3500 by 2030. Currently the Alzheimer’s peer support group only provides a group for one year after diagnosis. D-Mob plugs this gap! Through monthly social gatherings D-Mob provides invaluable opportunity for the voice of people living with dementia to be heard, for people to remain active and to feel mutually supported. An environmental, educational and community project to get the local residents buzzing! The idea is to introduce two Bee Hives into the residential area of CravenVale (North Kemptown). CravenVale is a housing estate with a mix of private and council housing. It has a dense population and good community hub in the heart of it that runs various activities, cafe and a Friday food bank. their knowledge. To plant and maintain bee friendly plants and herbs all around the estate. There is the opportunity for competitions and participations from local schools and business. The idea is to eventually have CravenVale honey produced in the ‘Vale’ along with Beeswax candles and bowls. This project would benefit the whole community as it has something to offer all ages. From training up young-old beekeepers to educational workshops for children and a study group for adults. It will hopefully bring the community together and integrate all ages in the fascination of our new residents. It also aims to encourage outdoor activity whilst checking on the bees and planting/maintaining the plants, flowers and herbs. It would bring a buzz to our community especially once the honey arrives and there is the opportunity to taste, sell and enter competitions. the educational groups and workshops. The funding could be put towards the plants and flowers needed to create a bee friendly environment. share their knowledge and point us in the right direction. This pilot project aims to improve wellbeing through getting people who are not active out on tandem bike rides along Brighton seafront. Each person will be offered a number of rides on safe cycle paths with a volunteer tandem lead rider. It is hoped that the outdoor activity and company will lead to wellbeing benefits and we will ask for feedback at the start, mid and end points. If successful, we will seek additional funding. The bikes are being supplied by Brighton Beach Bikes. 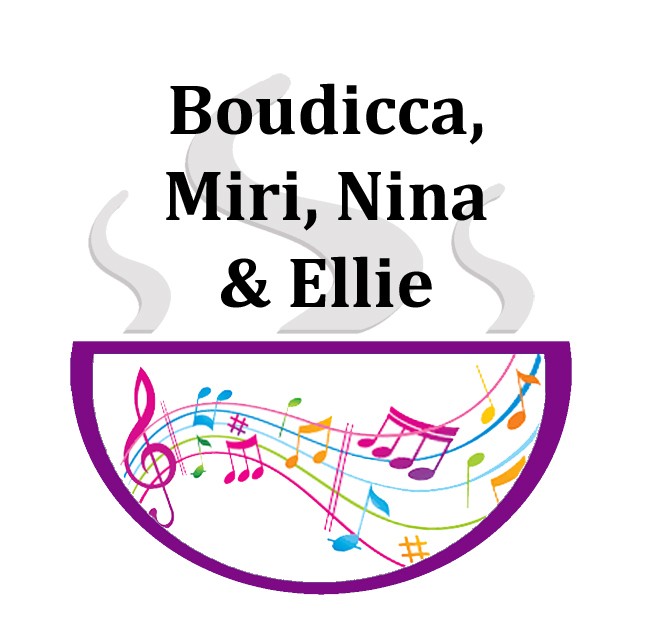 A massive thank you to Boudicca Pepper, Miri, Nina & Ellie for entertaining us on the evening with a superb set of originals tracks. The first time a previous winner has returned to perform. They had such a wearm response and promised to return. These souper stars provided a delicious menu of 5 tasty soups to all of our guests – vegetarian, vegan, gluten free – something for everyone. A big thanks to Jim Gray for once again bringing along some of his delicious freshly made bread! And to everyone else that brought food to share. These are the local people and businesses (and some national) that supported us with some amazing raffle prizes. These contributions often cover the cost of hosting the event so that all the ticket income and donations can go to the winner. We raised £243 so a HUGE thank you! Olivia Canham for helping host the selection meeting, and Caz O’Kane, Matt Brabner, Claire Finn and Emma Davidson for the tough job of deciding on the pitching projects for this event. Lizzie Batten & Sam Redfern for once again providing lovely soup and spending the evening serving people. Alex Keene for taking some brilliant photos. And Jes Bailey & Jess for doing our social media photos and videos for the evening. Shelley, Emma & Lynne for helping set up and staying late to clear up. And Lynne for a fanbtastic job on the raffle. And a massive big thank you to everyone who helped clear up on the night! Special mention to Ollie for halping wash up :). What a souper lovely bunch of people you all are! Please forgive us if we missed anyone out, and please let us know so we can update the page. We are grateful to the funding we have received from Brighton & Hove City Council and the Sussex Community Foundation. This entry was posted in Event Archive and tagged Chefs, coeliac, community, community base, Community Projects, Event, funding, gluten fee, music, The Soup Dept, vegetarian, voting on March 22, 2019 by wanjos. It’s always great when a previous winner returns to tell us how their project progressed gone since they were given your money, even better when they come back and perform for us! This time last year, Isha, Boudicca and Tom from Audi Active won the vote and took £698 in ticket money and donations for their Young Women in Tech project. The project encourages young women to get involved in the technical side of the creative arts. Next week, Boudicca Pepper is returning to give us all an update on the AudioActive project and how it’s been going since they won the funding. 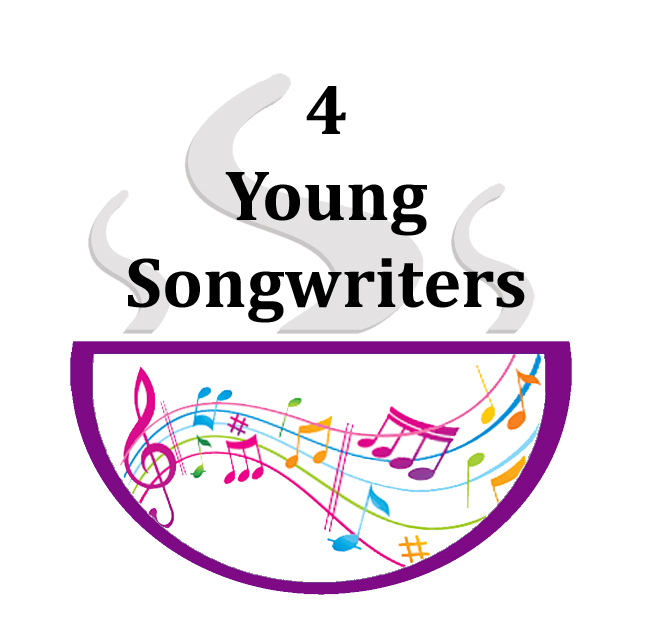 Even better, she will be joined by three other young songwiters from the course – Miri, Nina and Ellie – to perform for us. How fantastic is that! This entry was posted in Entertainment, Events, Projects and tagged BrightonSoup, music on March 12, 2019 by wanjos. In a couple of different ways. It’s about time we announced our next event, well past that time really. So that’s what we’re doing. And where do we go next? We’re returning to St Richard’s Community Hall in Hangleton, where we hosted our second event, way back in September 2015. Like we said earlier, it’s been a while. A very friendly bunch of Hangleton dragons. Daren and Charlie from Dare To Be Charlie. Tamsin Hardman, winning £300.70 for her Wide Berth project, helping socially isolated mothers. If you want to join us you can get tickets here. And if you need a little funding for a project you’re running, or a great idea for one you’d like to start – something that helps your local community – then submit an application here. And don’t forget, now is the go! This entry was posted in Events on January 29, 2019 by wanjos. Well we finally pulled our finger out and sorted out another soup. Yay! It will be on Friday 28th September at All Saints Parish Hall in Hove. A late September, Autumn soup. Though we’re hoping the glorious warm weather will hang around a little longer so we can have the garden doors open. As usual, you can get tickets here and submit your own project here. And if you know of any musician types that would be up for playing on the night, then do let us know :). This entry was posted in Events and tagged Chefs, community, funding, music, soup, Soup Dept, voting on August 22, 2018 by wanjos. Bookface, Tweeter, Monstagram & The Postmonkeys! Well the project submission deadline has passed and we’re be getting a team together to go through them and select who will be pitching at our next event @ St George’s in Hangleton. A great venue we had the pleasure of hosting in once before. We’re busy getting organised. The chef’s have all signed on. As has our musical entertainment (which we’ll tell you about soon). Some very lovely raffle prizes are coming in. We can’t wait! In the meantime, we have a request. We’re looking for a cheeky, creative volunteer (or two) to take on our social media. Someone savvy with bookface, tweeter and monstagram as well as these bloggy things and of course the postmonkeys. If you’re capable and fancy wrangling all these things (or some of them) – or you know someone who can, then please do get in touch. We’d love to have them make our soup lives so much easier :). This entry was posted in General, Volunteer Opportunity on June 11, 2018 by wanjos. Thank you for being a friend (and sorry about the song)! Well I’m really sorry if we just got that song stuck in your head, but it’s perfect for what we want to say. We’re in our 4th year now (yeah, really) and that couldn’t have happened without the wondrous, gorgeous, beautiful group of people – past and present – that have made us look good: the volunteers! In this week celebrating volunteers, we wanted to let everyone know that we couldn’t, really, really, couldn’t have done – and be continuing to do – this, without people giving their time and energy for nothing but the love of doing it. And maybe a fun night out every now and then. You lovely people that: make lovely food for us, sing and play for us, give us prizes to raffle, or money to projects, stand up and tell us about your passions, help us reach out for help, hand out leaflets, walk streets, host stands, spend days and evenings doing paperwork or organising things, writing blogs and posts, helping on the night (sometimes very late at night), taking photos, serving food, washing and clearing up, support us with donations of food, vegetables, cakes, equipment, money, advice, encouragement, buy tickets, come early to help, stay late to clear tables and chairs, even sweep and hoover. If you helped once, or have done so continuously. There really are too many of you to list here, but you know who you are. We certainly do. So to all of you volunteers, from the heart, we say thank you so very much. Now, again, sorry about the song, but it’s what we want to say. Well except the bit about buying you a Cadillac. Apart from that..
And if you’re too young to know the song, here it is. Enjoy! Thank you for being a Volunteer. PS: And speaking of thank you, if you’re attending the Survivor’s Network’s ‘Thank You Day’ tomorrow then we hope to see you there. If you haven’t registered yet, there’s still time. This entry was posted in Chefs, Contributors, Entertainment, Projects on June 7, 2018 by wanjos. Return of the Dragon Slayer! We’re very happy to announce our next community funding event! Catchy title, but there won’t actually be any dragon’s slain on the night – it’s not that kind of event. These dragon’s will be warm and friendly, rather than fiery and deadly. It’s just a cute (we think) reference to our next event venue. We’re heading back to St George’s Community Hall in Hangleton, where we had a great time one very cold February. This time we expect it to be gloriously bright and sunny – yeah, okay, more like ‘hope’. Tickets are now available, but more importantly, we’re open for submissions! So if you have something you’ve been thinking of starting, or need a little financial help to keep something going – then do apply. Even if you don’t win you get a chance to promote your project and meet friendly dragons wanting to help and support you. And eat some delicious soup too :). So, who wants to start something? This entry was posted in Events, Projects and tagged @ Hangleton, Community Projects, funding on April 26, 2018 by wanjos. If you’ve been to soup before then you know it’s attended by very lovely people. We know that from the help and support you’ve given us and our pitchers over the the last 3 years. And when we needed your help at our last event you really didn’t disappoint. Coming up to our All Saints soup we knew were were going to be short on help as a few of our team couldn’t make it. So we turned to Helpful Peeps and connected with Maxine and Tenzin who offered to help setup, host and take down after. Still short the day before so emailed our guests and again our call was answered – Shelley and Pat offered to come along. We had more offers than we could cope with, especially from all you soupers at the end of the night – we managed to clear up and get home in record time. Thank you all so much! And the awesomeness helpfulness on display didn’t stop there! If you haven’t heard, Isha, Boudicca and Tom from Audi Active won the vote on the night to take £448 in ticket money and donations for their Young Women in Tech project. Trying to encourage young women to get involved in the technical side of the creative arts. It’s great project and the pitch was passionate, but then so were the others. Shortly before announcing the results of the vote one of our soupers offered a secret donation of £250 to every project that pitched. Not only boosting Audio Active’s pot, but ensuring that Free University Brighton’s Projector, Fabrica’s Textile Flow and B&H Speakout’s Thumb’s Up projects all received some much needed funding. How wonderful was that! Amongst all of this was the usual joyful food, soulful music and lovely company. Our chefs Tom, Lizzie, Sam, Joe and Martin again provided a variety of tastiness, with vegan and gluten free options. Laura and Adam of Hickory Signals entertained us with some very soulful and moving folk music. And you of course, provided the company. Caitlin from Survivors Network returned to give us an update on her projects since winning the last event back in December. The work is almost finished and they plan to hold a special open day where soupers and funders can go along and see the finished work and meet some of the team. How cool! We had another great raffle courtesy of all our wonderful contributors, helping us raise £222 for BrightonSoup – to help us do what we do. Thank you all so much. There are too many to list here, but we do on our event post and on social media. As always, we also ask the winners to let us all know how they enjoyed their prizes by posting photos here or in the usual online places. So from being a little worried we would be overwhelmed before the event, turns out we have a lot of supporters out there. Thank you all so much for making it another great night – especially all those that helped or offered to – and congrats to all the pitchers. We’ll be putting up the full event details shortly, all about the projects, the contributors, the chefs and their soups soups and everyone that made it happen. And you can see the photos here. Oh, and by the way, have we said “Thanks! This entry was posted in Chefs, Contributors, Entertainment, Projects on March 29, 2018 by wanjos. Our 13th BrightonSoup, first time at All Saints Church in Hove. We love the spacious hall in heart of Hove. So did everyone. Thank you! Isha, Boudicca and Tom from Audio Active won the vote and £448.00 in ticket money for their Young Women Tech Group Project. And a special thanks to the anonymous donor on the night who gave £250 to every project pitching! As always, we like to mention that the other projects are still looking for help and support. If you can help, then please get in touch with them directly (details below) or use our contact form. Susie and Ali from Free University Brighton (FUB) went first, pitching for some funding for a projector. FUB courses are for those who cannot afford university to get accreditation, and those who need attendance certificates for their training development like social workers and teachers, as well as people who simply wish to seek out knowledge from impassioned tutors. It’s diverse and inclusive. We desperately need a projector and good speakers for general use in the classroom. We recently had a situation where the tutor had to present his lecture from his laptop, which was just not satisfactory as he was forced to set things up from his wheelchair, and as a result students had great difficulty trying to see his presentation. We also hold film nights and recently showed Spider’s Web at Exeter St Community Hall, with the director staying afterwards for a question and answer session. Out of the 70 people in attendance, 60 stayed on for the Q&A. Not having one ourselves, we were forced to borrow a projector and speakers for the event. 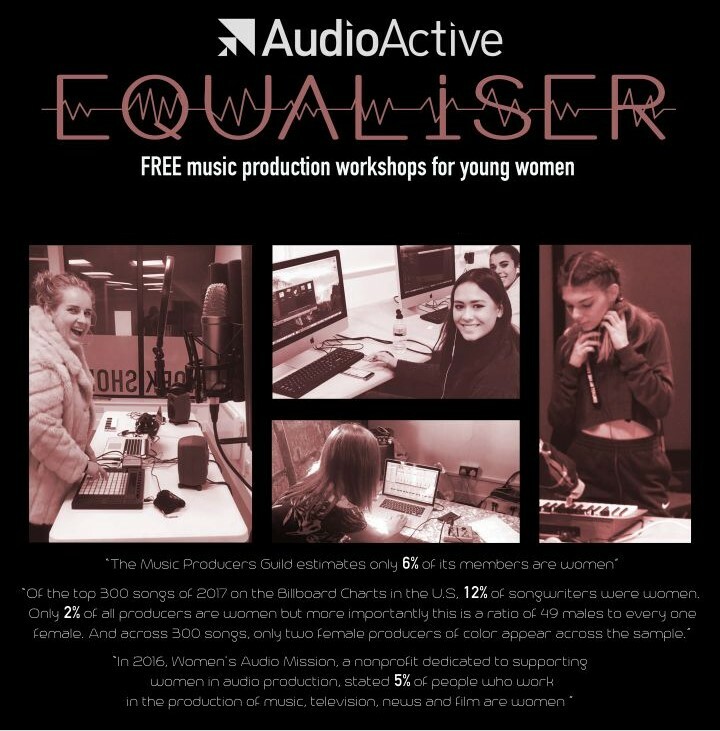 Due to gender imbalance in music technology we hope to introduce female-led sessions for young women providing a safe space for young women to access music hardware and software. We would address issues raised by women we consulted, who don’t engage with our current open sessions for reasons including; intimidation, male dominance, lack of female role models and stigmatisation. We want to challenge the traditional notion that music tech is a male interest only. 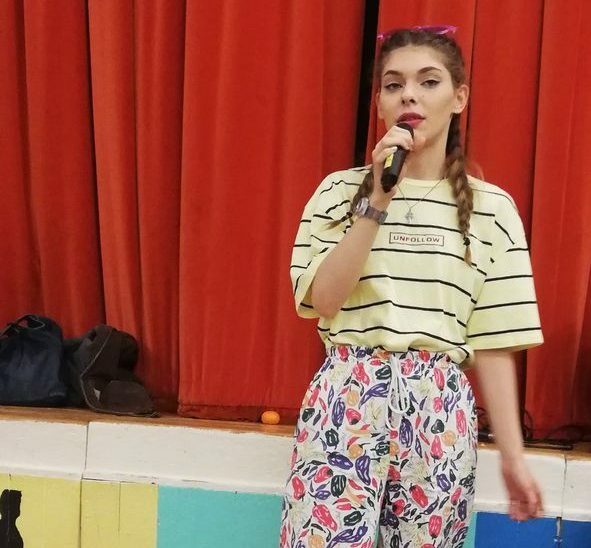 A female only session would empower and inspire, diversify the art form and tackle a skills shortage in the industry while strengthening our workforce. The Textile Flow project aims to reduce isolation and improve wellbeing through a series of welcoming and supportive workshops for older people to make social connections, learn new textile skills and share their knowledge. These skills-based learning sessions will meet weekly, alternating between two venues, Fabrica Gallery and Leach Course (a residential housing scheme for senior citizens located in Kemptown).T his project will give participants a welcoming and supportive space to create positive new connections and experiences based on interest rather than need. The Thumbs Up card is a plastic card with the Thumbs Up logo, which can be used to ask for a little extra time, patience and support. There are thought to be over 6000 people with learning disabilities in the city and they face extensive discrimination, poverty and barriers to community life. Communication difficulties often prevent people from accessing services, and we feel that showing a Thumbs Up card would be an easy way to alert people that the individual may have extra support needs without that person having to find the words to explain. Speak Out are constantly campaigning to raise awareness in Brighton and Hove about the needs of people with learning disabilities. We promote disability awareness and seek to educate businesses and organisations in the city about how to support people with learning disabilities. Pitching: Liz Holmes with Deborah, Susan, Betty, Gregory and Peter. A massive thank you to Laura and Adam – the Amazing folk duo Hickory Signals – for coming along to entertain us with their beautiful music. And for hanging around to help us clear up :). These souper-stars provided a delicious menu of 5 tasty soups to all of our guests – fish, vegetarian, vegan, gluten free – something for everyone. We never get tired of thanking these awesome chefs! These are the local (and some national) businesses that supported us with donations and some amazing raffle prizes. Without these contributions we couldn’t afford to cover the cost of hosting the event so that all the ticket donations can go to the winner. We raised £222 so a HUGE thank you! Thank you to our Project Selection Team for doing the hard work of whittling down submissions to the final four. Regulars Olivia Canham and Caz O’Kane as well as guests for this event Stephen Chamberlain, Sam Hart, Chris Llewelyn and Sam Redfern. Thanks again to Lizzie for spending the evening serving soup to people. and Martin who couldn’t make it, but still made soup for us. To HelpfulPeeps Maxine Bradshaw and Tenzin, and soupers Shelley Jane Brown and Pat Mernagh for coming early to help get us ready and helping throughout. And a massive big thank you to everyone who helped clear up on the night. Please forgive us if we missed anyone out, please let us know so we can update the page. Pitchers, Chefs & Hickory Signals! Well hey soupers, our Spring event is fast approaching! It’s a busy time all round. The pitchers have been selected and are putting pen to paper, no doubt practising their delivery in a mirror. They think you’re a scary bunch, but we know that’s not true. The soup crowd gives one of the warmest welcomes ever! Still, public speaking can be very scary. Would you do it? 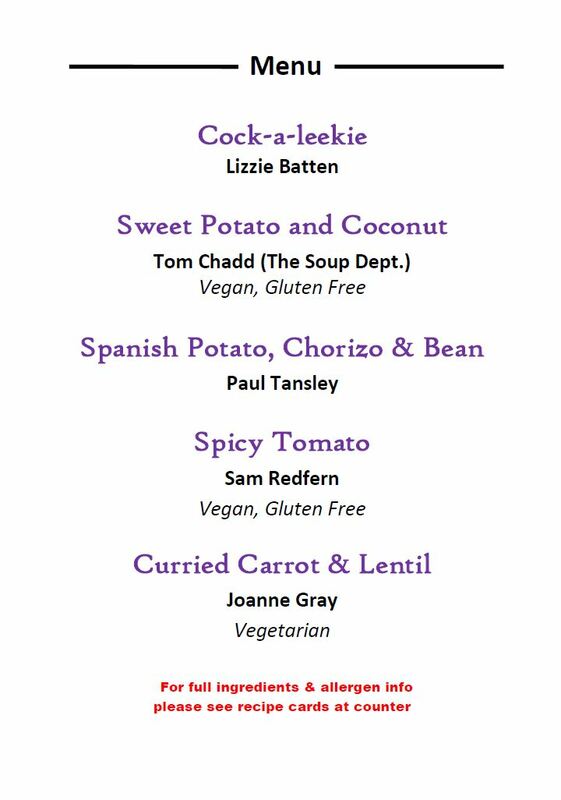 Our team of volunteer chefs have once again committed to feasting you on the night, an aromatic range of deliciousness will once again be available – in all the usual veggie and dietary variations. Tom, Lizzie, Sam, Joe & Martin – we salute you! We are souper delighted to announce that Folk duo, Hickory Signals, will be performing on the night. Strong vocal melodies with guitar, shruti, flute and a variety of percussion, layering sounds carefully and minimally to atmospheric effect – both traditional and original songs. Laura Ward and Adam Ronchetti are a joy to listen to and we hope you enjoy it. This is a first for us: someone singing at soup that has previously pitched :). Some of you may recall Laura pitching on behalf of Brighton Oasis Project at our Emmaus event. Well now she’s back, but this time to sing and we’ve been looking forward to it. Come and join us to hear those perfect pitches, taste scrummy food and enjoy the music. Only 2 weeks to go, but tickets are still available. 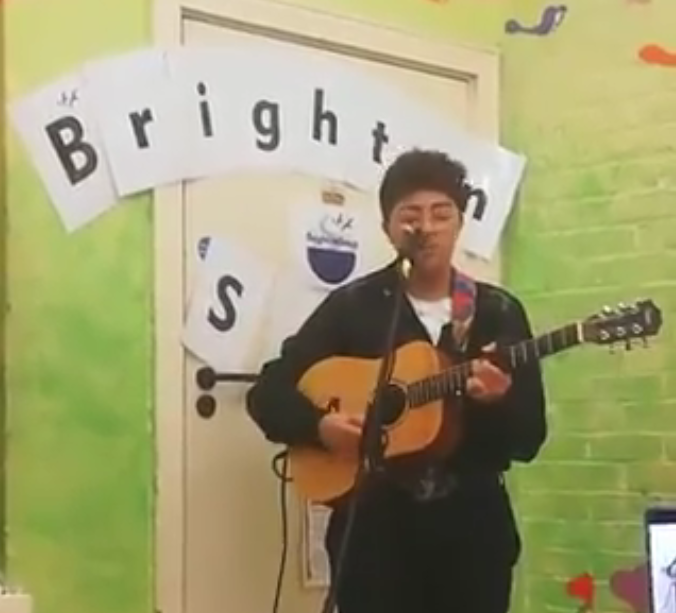 This entry was posted in Chefs, Entertainment, Projects and tagged acoustic, All Saints, BrightonSoup, Chefs, community, Community Projects, funding, gluten fee, music, Soup Dept, vegetarian on March 2, 2018 by wanjos.